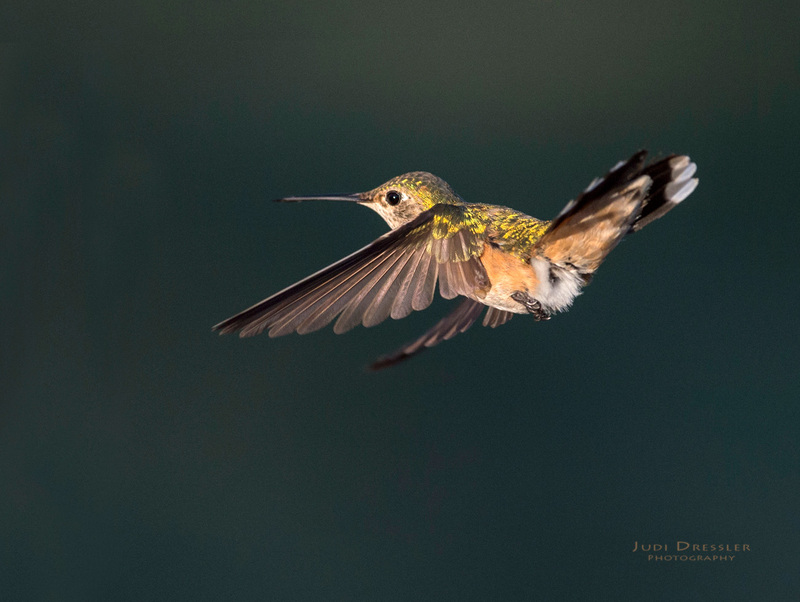 This female Broad-tailed Hummingbird was flying in a friend’s yard that was filled with dozens of different types of flowers. We were at about 8000 ft above sea level, which these little birds prefer in summer since it’s cooler at high altitude. I love her flight pose and her golden colors. This photo was taken on July 8th, 2017, in the evening.